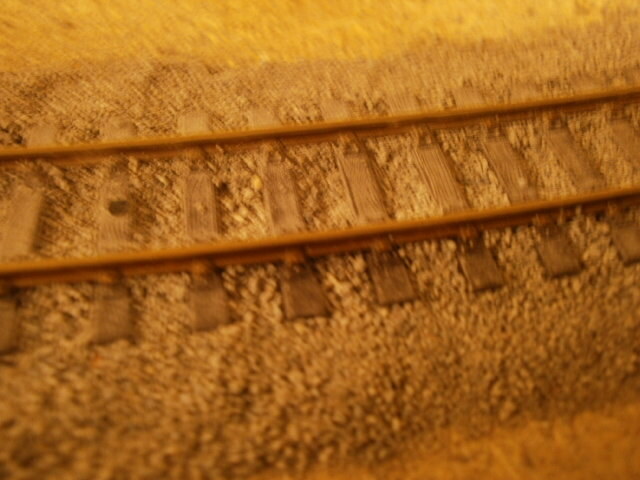 Teignford, a 3mm Scale Layout. 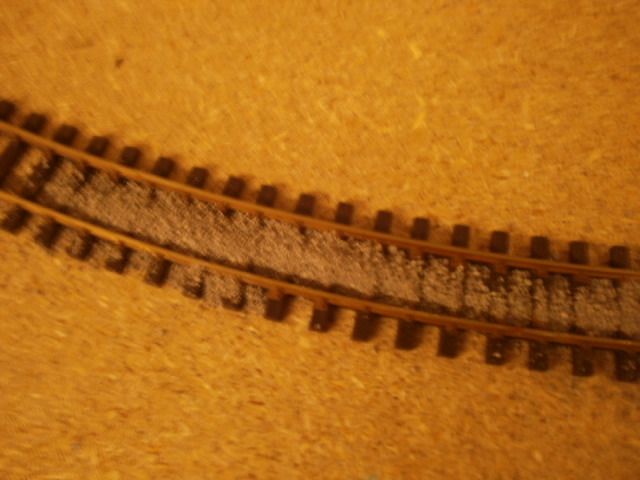 : Ballasting begins. The tedious part now begins. I haven't found a quick way of ballasting so pour some on, spread it out and hopefully get it somewhere looking realistic. Using a Granite ballast this time as I couldn't get the Magnesium type that I used on Hennock. The lower shot see's the ballast spread out and the shoulder formed. Next time will see the adhesive applied. Ballast Takes Longer to Dry-Shock! Horror!